OKB Architecture has released renderings that depict planned renovations to the historic Foreman & Clark building in Downtown Los Angeles. 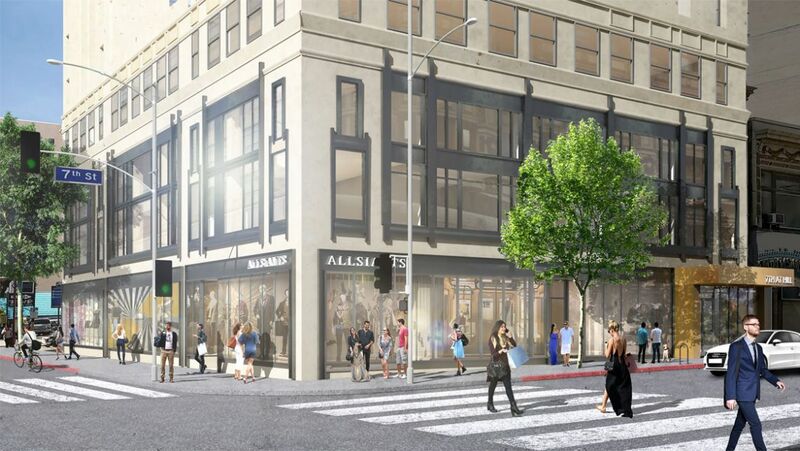 The L.A.-based firm will convert the former department store and office building into a mixed-use apartment complex containing 125 units and 8,500 square feet of ground level retail. The building dates to 1928 and is organized along a series of double-loaded internal corridors, which, along with many of the building’s original decorative elements, will be retained through the conversion. The proposed apartments will ring the building’s exterior facades, with one set of units looking out over a large fifth floor courtyard and the others along the perimeter of the structure. The building will contain a collection of one- and two-bedroom units. 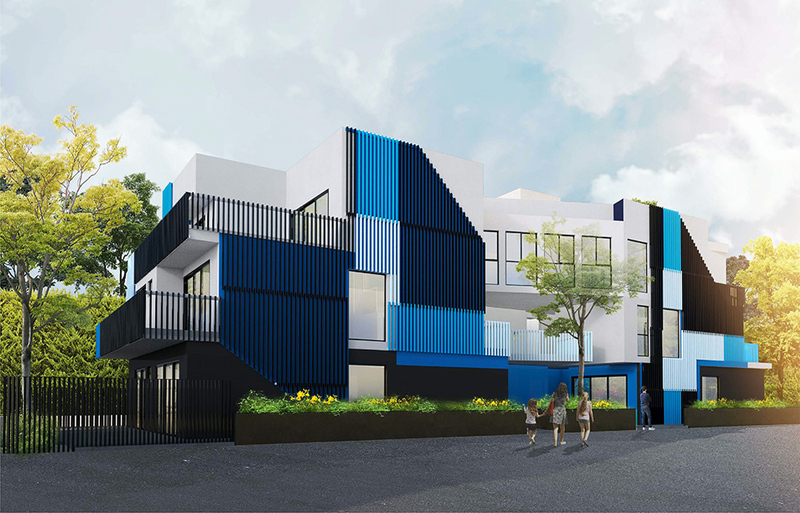 New additions to the structure include renovations to the fifth floor terrace overlooking the street and the addition of a new rooftop penthouse level. 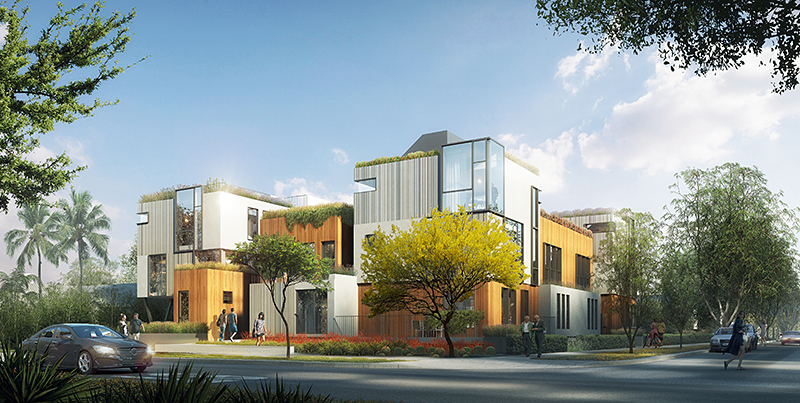 The shared terrace will contain building amenities like integrated seating areas, shade pavilions, and modest plantings. Renderings for the project depict updated ground floor retail areas with double-height glass-clad storefronts buttressed by low walls. The renderings also depict a new, more prominent residential lobby entrance along 7th Street marked by an oversized awning. The project joins a growing number of new developments within and around Downtown Los Angeles’s historic Broadway Theatre District, including a forthcoming 450-unit condominium tower inspired by the surrounding historic mercantile structures by architects Hanson LA. Because many of the area’s structures are historically significant, many of the new developments in the district consist of interior renovations and condominium and office conversions. A timeline for the Foreman & Clark project has not been announced. Developers Related completed its resurrection of 111 West Wacker Drive earlier this year, opening a luxury rental tower on the Chicago River where for years stood a ghostly concrete frame left over from a previous owner's attempt to build. 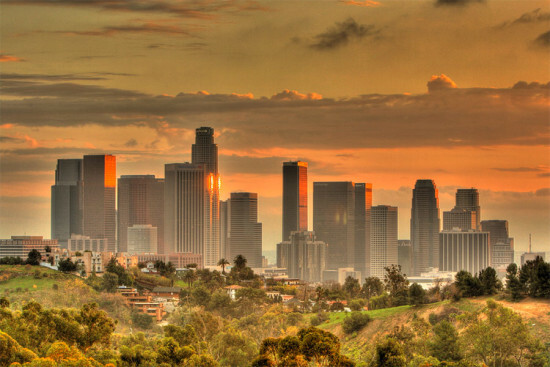 The site was originally intended to house the first Shangri-La Hotel in the U.S. Four years after the recession halted construction with just 28 stories of structural skeleton complete, Related broke "ground" again, this time planning about 60 stories and about 500 luxury apartments. 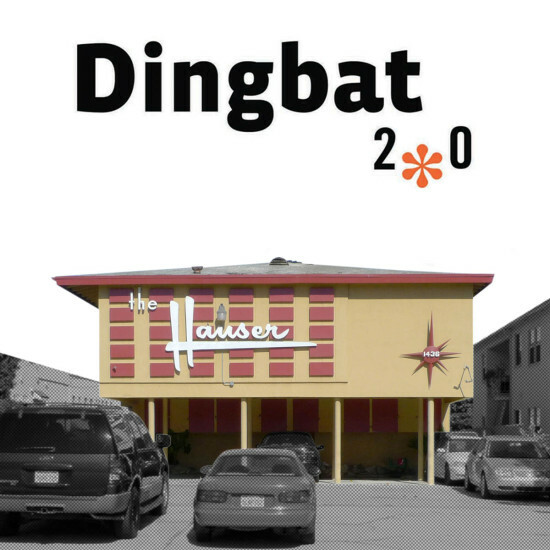 That redevelopment finished up this summer, opening in July. About 60 percent of the units have since been rented, said Related spokeswoman Tricia Van Horn. Renting is the only option for the 504 units, which range from 575-square-foot studios to three-bedroom, three-bath residences of 2,400 square feet. They cost anywhere from $2,395 to $11,500 a month for one of the four penthouses. 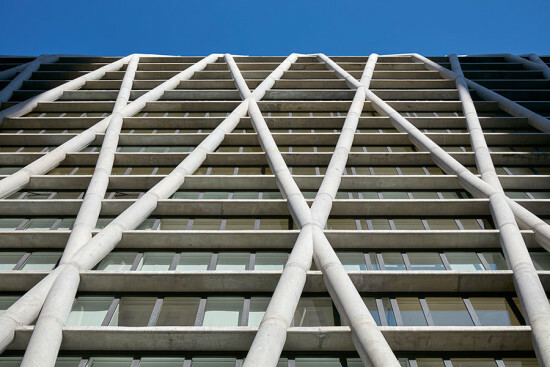 OneEleven's segmented construction led to some interesting design adaptations. 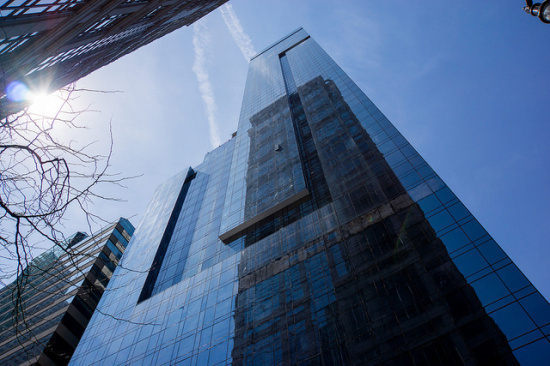 Having scaled back from pre-recession ambitions, the new owners stacked a smaller building on top of the 28-story base, bifurcating the floorplate and creating some interesting outdoor spaces where the Shangri-La plan juts out at the 28th floor. 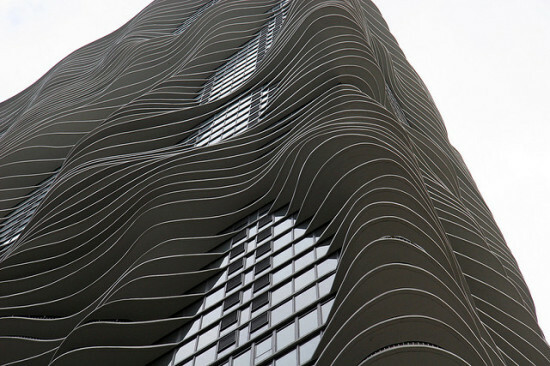 A recessed zig-zag in the facade references datum lines of nearby buildings and alludes to the unusual construction history while shielding the transition between its disjointed floorplans. Views from outdoor “Club OneEleven” down Clark Street are spectacular, if marred a bit by the building's neighbor to the south. But rather than cram lower south-facing floors with low-light apartments, Related conceded that space to back-of-house, building systems and some amenities. 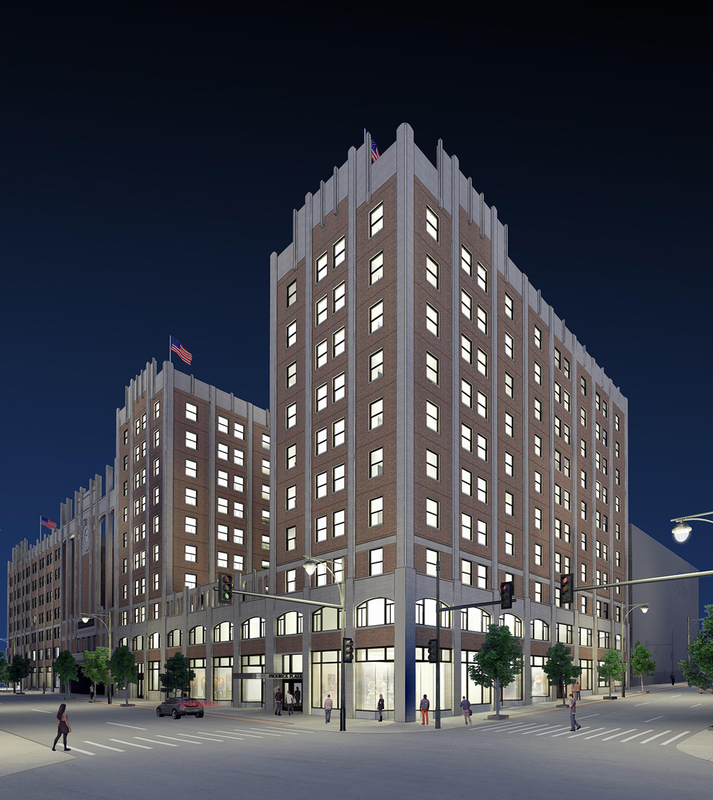 The luxury rentals are targeted to “people who are really interested in having an urban life,” Van Horn said, underscoring the building's singular position in this section of the Loop not typically known for residential developments. Take a look inside OneEleven with these photos by Scott Frances. 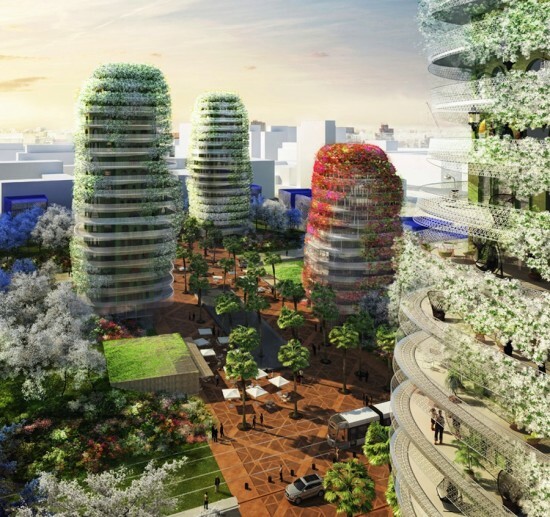 French designer Maison Edouard François has presented designs for The Gardens of Anfa, a project consisting of three residential towers, a low-rise office building, and several ancillary structures all situated within a large plot of parkland in Morroco. The four largest components of the design are clad in various flowers that pour down curved, irregular facades. The peripheral buildings are rectilinear and appear largely free of the organic attire found on their taller neighbors. Washingtonia palms populate the innermost portion of the complex, a flatland bordered on four sides by the aforementioned towers. The apartments feature 360-degree balconies surrounded by fencing rendered in Arabic geometric patterning. White and jasmine bougainvilleas cover much of their exteriors in contrast to the more vibrant hues found in the vegetal coating of the office building. The latter is a squatter rendition of the same basic form of the residences. This piazza is enclosed by a ring of smaller square buildings also to act as housing. These jigsaw structures are interspersed by rectangular protrusions that lend a decidedly tetris-like quality to the facades. Geometric apertures continue the Arabesque motifs found in the high-rises. Underground parking will be tucked away beneath this Moroccan Eden. 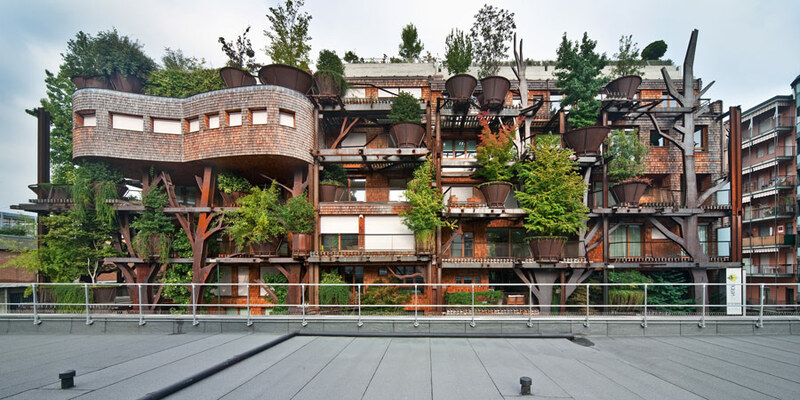 The Gardens, which are set to be completed in 2016–2017, are not Edouard François' first dalliance into the union of flora and verticality. Round up the usual vegetal towers.